If you’re feeling like taking your high to another level, cannabis extracts have become more readily available and so has their application on and within joints. 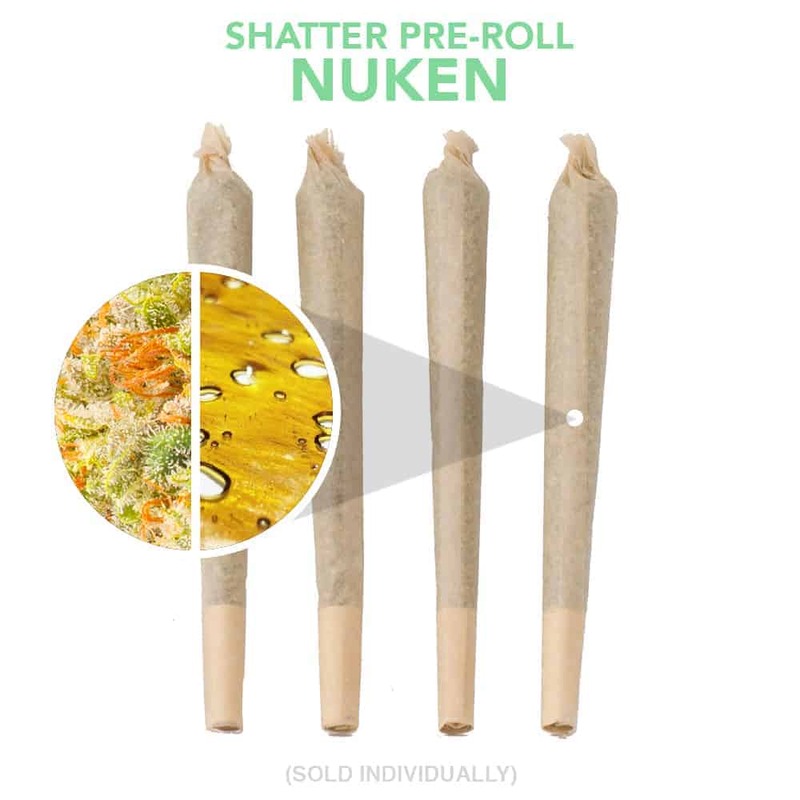 Goldbuds Shatter Pre-Rolled Cones are great for people who want something stronger and just as convenient. At Goldbuds we hand roll our Nuken buds with all their crystal loaded at the bottom of the jars and our own high-quality Canna Tonic shatter!